Hi ladies! I hope you've all had a fantastic week. I don't know about you but I am SO glad it's finally Friday! 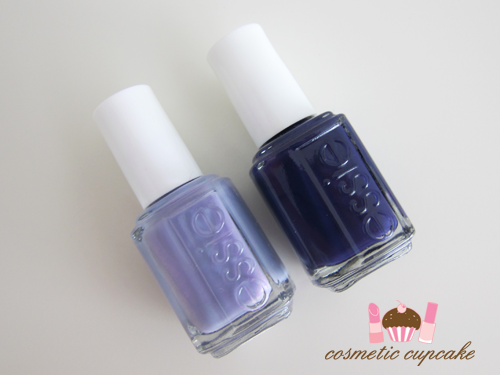 I have some quick swatches for you of 2 of the shades from the Essie Resort 2012 collection today - She's Picture Perfect and No More Film. 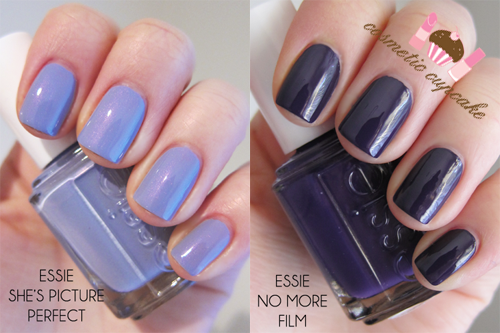 Both are gorgeous colours and I highly recommend adding them to your collection! "This apologetically pretty collection takes its cue from screen idols like Audrey Hepburn, Elizabeth Taylor, Grace Kelly - women as perfectly suited for 20th Century Fox as they are for 21st century color. With adoring fans at her heels and essie on her toes, she's always on stylish step ahead of the crowd. This suite of pinks and purples in eye-popping pastels and deep jewel-tones are a charming kiss of color to sire even the sleepiest sleeping beauty. Micro-glitters create a delicaate shimmer, and cream colors defy categorisation with rich undertones that are anything but superficial. This collection lets you dive into colour in a way that distinguishes you from all others, and awards you the starring role. There's no mistaking it, you were born to play this part." 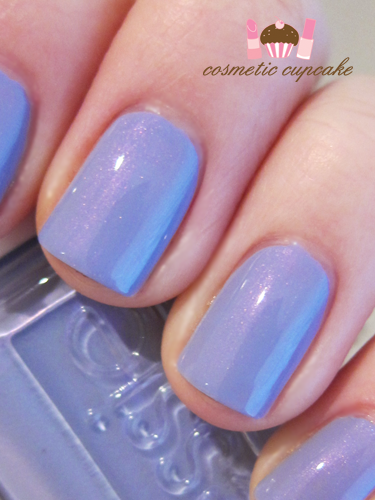 She's Picture Perfect is a blue toned lilac creme with subtle purple and pink shimmer through it. It's so pretty! It reminds of me of one of my old favourite Essie polishes Baby Cakes but darker and more blue and with an improved formula. 2 coats is pictured. No More Film is a wonderfully opaque dark violet creme. I love these dark blurple colours but they are a pain to photograph unfortunately! In some lighting it looks dark blue but it's definitely violet. My swatch pictures show the colour accurately while the bottle pics are too blue. 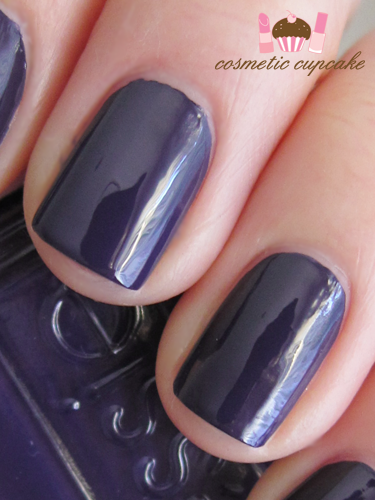 2 coats is pictured but you can definitely get away with just 1. 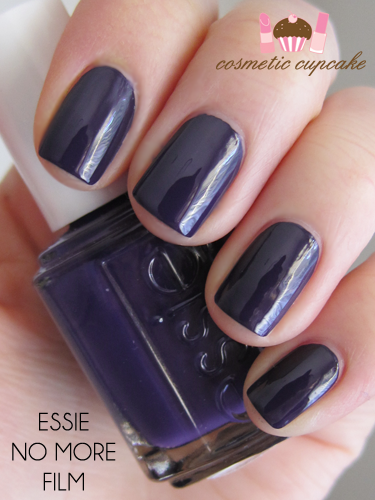 Overall: Another great collection from Essie! I really love that they're consistently including interesting and colourful shades to their collections like blues, purples and greens instead of the old pinks and reds. I adore pinks of course but I do love my colourful polishes! I enjoyed the formula on these 2 shades and No More Film in particular was a dream to apply. They dried quickly and to a high gloss finish. Details: The Essie Resort 2012 collection is available now from Myer and selected salons for $18.95. They can also be purchased online from Beauty Stop Online. The products featured in this post were provided to me for consideration but this in no way influenced my review in any way. As always, my reviews are my 100% honest opinion. My Disclosure Policy can be viewed here. This post contains a sponsored link. Great swatches, as always! I keep forgetting I wanted to check out No More Film :p Now I must also remember to check out She's Picture Perfect for the shimmer! Awwww you're too kind Susan! <3 Definitely check out both shades. They're gorgeous! Wow, I love She Is Picture Perfect! Love the lavender shade. So pretty! Well, if it has shimmer in it, I'm bound to like it 9 out of 10 times. Ooooh I really love She's Picture Perfect, that subtle shimmer is so pretty! Really liking the "She's picture perfect". On the Blog pics I do see more violet in them!